Nepal Kathmandu Tour Package, start with either guided city tour or by self. But normally tour guides in Nepal are major source for information of pre historic temples, monuments, square, story behind each and every monuments, information about the festivals as Nepal tour guide are university graduate as well as government authorized license holder. City of temple is synonym of Kathmandu valley as it is full of temples and others historic places. 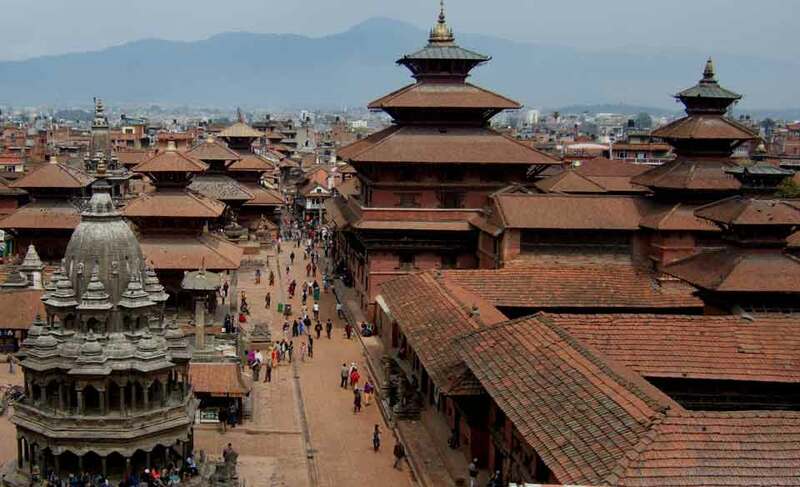 Major places to be explored during Kathmandu city tour are listed below. Basantapur durbar square is one of the best courtyards full of temples, kumari ghar, historic palace of Malla kings and many more. It is a good idea to explore this square as well as hanuman dokha square, museum, Kaal Bhairab Mandir, ancient typical market of ason, Indra chowk are major attraction where lots of vendor are busy selling varieties of good. Swoyambhunath Nepal is also called as monkey temple as it is like home to thousands of monkey residing nearby forest of Stupa. Located at the hillside is excellent view point of entire Kathmandu valley. With amazing story behind its construction is home of three different architectural style of monuments as one can see stupa style, pyagoda style and sikhar style. Pashupatinath, a temple situated by the side of international airport is major attraction of Kathmandu. Hindu temple is considered as the head of Lord Shiva which is the main reason why this is the centre of faith for Hindu People throughout the world. For foreigner another centre of attraction is funeral process, where dead body of Hindu People is being burned as the cremation process. Only Hindu people are allowed to enter inside temple rest other are forbidden for entering. Buddhist sites Bouddhanath is famous place for Buddhist pilgrims as it is century's world stupa, biggest white dome in entire Asia. Few Tibetan refugee settlements can be found around the circle of dome along with couples of Thangka painting school. Bauddha Tibetan Buddhism is place with lama schools, white dome and several other monasteries where typical Tibetan people can be figured out circling the dome chanting Buddhist rhymes. Patan Nepal is best example of wood carvings and stone carving. Famous place inside Patan Durbar Square are kumari ghar, golden temple, Patan Museum, Krishna Mandir, Statue of King Bhupatendra Malla with bird on his head, Durbar Square, Ashok Pillar etc. One can buy some metal carving as well as wood and stone carving as souvenir from vendors. Do I need to pay entree fee to visit these sites? As above sites as listed in UNESCO world's heritage site one need to pay certain amount as entrée fee before entering those squares, temples and stupa. There is different rate for foreigner one separate for SAARC country people and another for rest. One can directly pay at the counter located in front of main entrance. Although these places are located inside the Kathmandu valley it is quite impractical to walk. One can rent a cab but which is not safe and reliable, as well as bit expensive in compare to rent a car in Nepal. As cab will charge disposal for waiting hour, not reliable and trust worthy in compare to vehicles hired from car Rental Company in Nepal. We offer car, jeep, coaster on base of number of people in a group at fix rate which will pick you from the hotel, take to each and every sites, wait in parking till you finish exploring the entire sites then after took you to another sites and finally drop back to hotel. The thing is our professional drivers are English Speaking; trust worthy you can leave your baggage (except money and important documents) in vehicles even during walking which you cannot in public cab, there might be difficulty in monetary transaction with cab as they increase fair in meter unreasonably and many other factors. So we highly request our entire valuable customer to hire vehicles for sightseeing around Kathmandu valley. We offer compact hatchback to luxurious sedan, sport utility vehicles as well as big coaster, so please feel free to mail us at info@nestadventure.com for further inquiry regarding car rental in Nepal.